I know. I know. I have been MIA. Time has slipped away from me and the awesome goals I made on January 1st have as well. I’m going to try to get better at blogging regularly! I love to use books, especially picture books, to teach children. I’ve recently read two picture books that I think are fantastic models to help build social-emotional skills in children. Red’s factory-applied label clearly says that he is red. With his parents, grandparents, and teacher’s best efforts, he tries his best to show that he is what his label says, red. He just can’t seem to make red strawberries or mix with Yellow to make an orange. Red feels like he can’t do anything right. Until he meets a new friend, Berry, who shows him a new perspective. Red: A Crayon’s Story is a great story to share with children to discuss the idea of labels and how those labels make us feel. Disclaimer: I received a copy of this book from the publisher to review. Brian is invisible. Nobody ever seems to notice him or include him in their groups, games, or birthday parties. And then Justin, a new kid, comes to class. Brian makes Justin feel welcome and when they team up to work on a class project, everyone learns to see Brian as a boy, not the invisible boy. 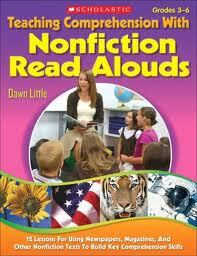 I read this book as part of my Teachers as Readers event through MCCIRA. We read two Black Eyed Susan nominees and then meet to discuss the books. The Invisible Boy would make a great read aloud that will begin discussion around how small acts of kindness can help children feel included. I love the illustrator’s (Patrice Barton) rendition of Brian at the beginning of the story when he feels invisible and at the end when he learns to shine. Additionally, there are questions for discussion, recommended reading for adults, and recommended reading for kids in the back matter. ©2015 by Dawn Little for My Learning Life. All Amazon links are affiliate links and may result in my receiving a small commission. This is at no additional cost to you. ← What’s Data Got to Do With It?